Disclosure: I was compensated for this post. All opinions on this blog are my own. Though I love the cooler weather, I do not enjoy the start of cold and flu season. We’ve been lucky so far to keep the germs at bay. I’ve been taking extra measures so that they stay away and hopefully, for good. No one likes being sick and miserable. Thankfully, there are easy ways to protect you and your family with proper care and a little TLC. 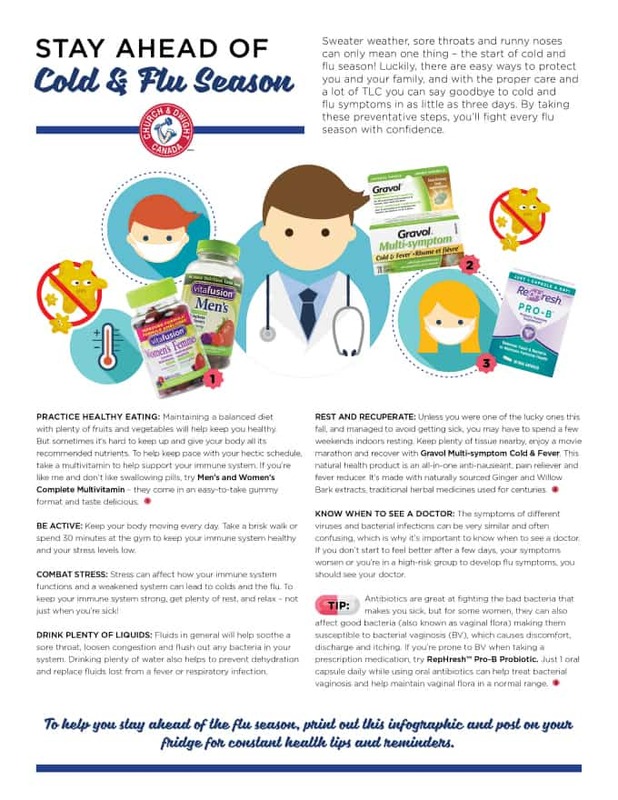 Take a few preventative steps and fight the cold and flu season with confidence. 1. Eat healthy. It’s important to eat a balanced diet that includes lots of fruit and vegetables. If you are finding it tough, try a multivitamin to make sure you are getting the required nutrients and immune system support. Men’s and Women’s Complete Multivitamin comes in an easy-to-take gummy format and tastes delicious. 2. Exercise. Keep your body moving on a daily basis. Try a brisk walk or head to the gym for 30 minutes. Physical activity helps keep your immune system healthy and lowers stress. 3. Manage stress. Stress can wreak havoc on your immune system which, in turn, can lead to colds and flu. Make sure you are getting plenty of rest and relaxation daily and not just when your sick. I take a 15 minute “time out” daily to meditate to help manage my stress. 4. Drink plenty of fluids. Drinking water helps soothe sore throats, loosens congestion and flushes out bacteria. It also helps to prevent dehydration and replaces any fluids lost from a fever or respiratory infection. 5. Rest and recuperate. If you do get sick, make sure you spend plenty of time resting. Keep the tissues nearby and enjoy a movie marathon and recover with Gravol™ Multi-symptom Cold & Fever. It’s a natural health product that is an all-in-one anti-nauseant, pain reliever and fever reducer. The medicinal ingredients found in this effective formula are Ginger and Willow Bark extracts, traditional herbal medicines used for centuries. 6. Know when to see a doctor. The symptoms of different viruses and bacterial infections can be similar and it’s confusing to know what you have. If you don’t start to feel better after a few days or your symptoms worsen, or you’re in a high-risk group to develop flu symptoms, you should see a doctor. 7. Promote good bacteria. If you do have to go on antibiotics, be aware that they can kill off the good bacteria (for the women) and make you susceptible to BV (Bacterial Vaginosis). If you’re prone to BV when taking prescriptions, try RepHresh™ Pro-B Probiotic. Just one oral capsule a day while using oral antibiotics can help treat BV and help maintain normal vaginal flora. I’ve been taking one daily for months to keep things in check. Check out this handy infographic to help you stay ahead of flu season. Thanks for the awesome tips! I definitely want to avoid getting sick. I just don’t have time. A cup of tea with honey is good for a sore throat. 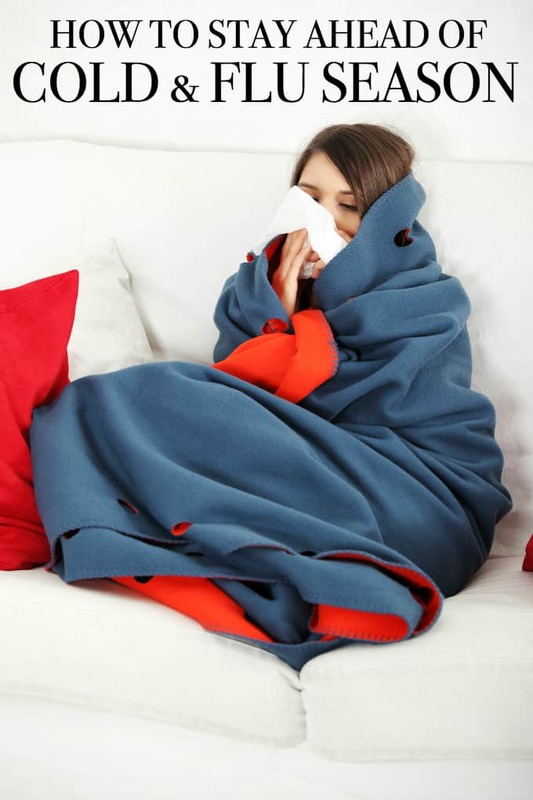 Great ways to tackle the flu and prevent it once and for all.